National Dog Week 2010 has come and gone and I thank everyone who contributed to the Seven Blogs of Dog Week and those who honored the dogs of the nation last week and all year long. Thanks go to Babette Haggerty, Ryan Rice, Steven Duno, Gretchen Kruysman, Judy Gamet, Bocker Labradoodle and Marie Selto and Erika Friedman. There are so many other people I would have loved to cover, and I will in time. Also, thanks to those who allowed me an opportunity to talk about my work, Mashal Zeringue of Coffee with a Canine (www.coffeecanine.blogspot.com), fellow Pets Examiner Penny Eims (www.examiner.com/dogs-in-national/kick-off-national-dog-week) , Ryan Rice (www.Houstondogblog.com) and the Brick Times. 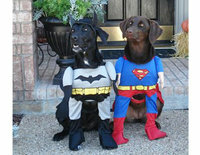 And a special thanks to Josh Abrams over at www.dogasaur.com for sending so many dog-lovers my way. 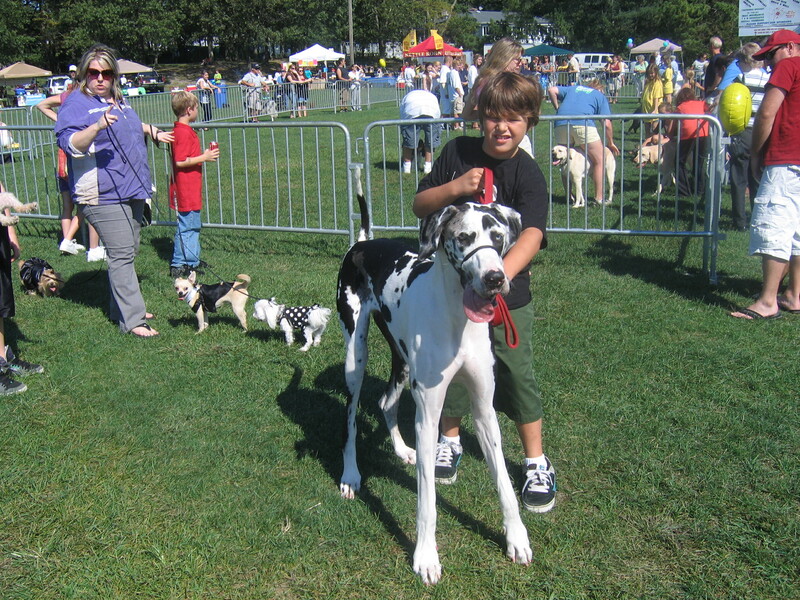 On Sunday, September 19th, Brick Township, New Jersey, had its first Dog Fest at beautiful Windward Park on the banks of the Metedeconk River. 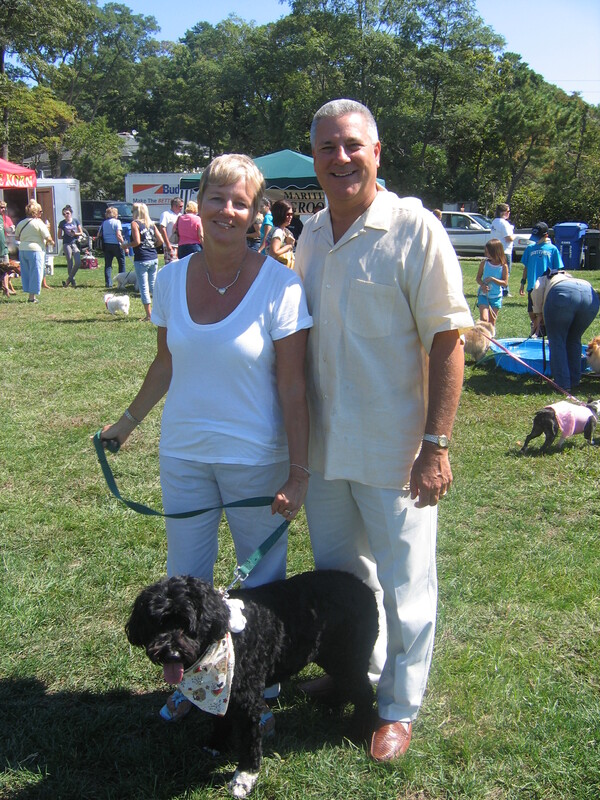 The timing was perfect as that Sunday marked the first day of the 82nd observance of Will Judy’s National Dog Week. 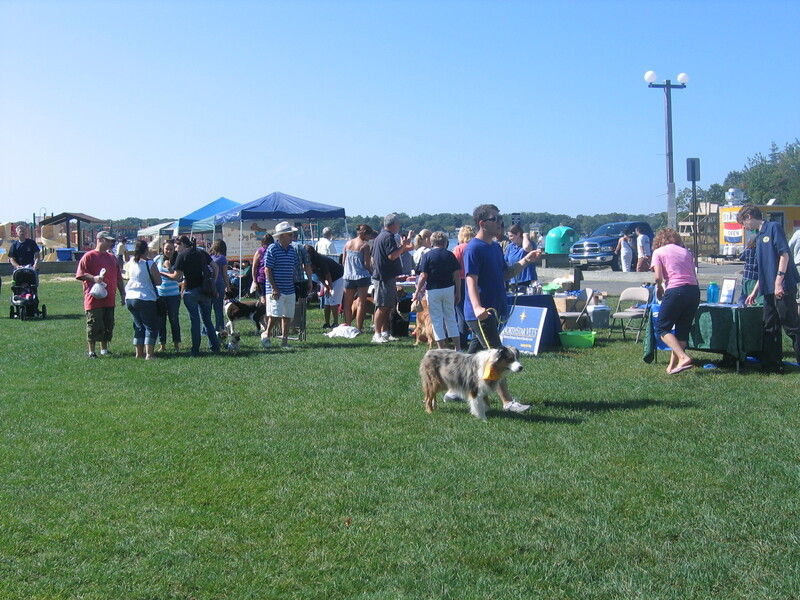 The weather was perfect, too and over 1,500 humans and 500 dogs attended enjoying the beach, swimming in the river in a park that was open to man’s best friend due to the Township’s special “Pooch Pardon.” Also on hand were dozens of dog-related vendors, artists, groomers, trainers, as well as demonstrations by therapy and assistance dogs and some fun contests for dogs and their owners. 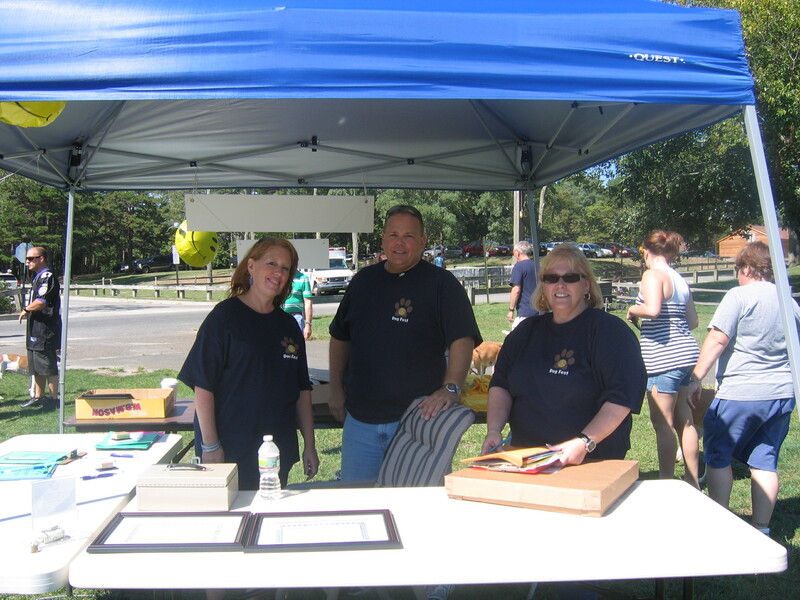 Thanks to the efforts of Donna Stump, Dina Silvestri and their committee of fellow Brick Rotarians, funds generated by the event will benefit several local charities. 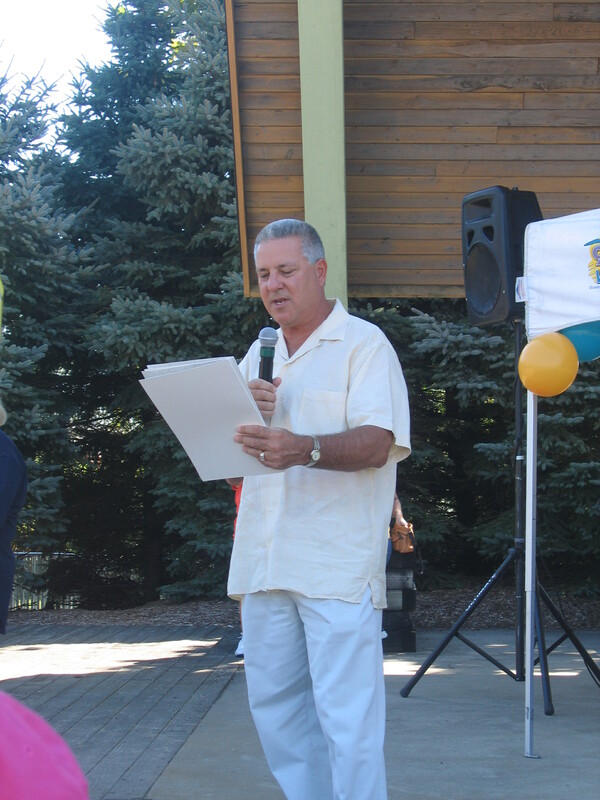 I am also grateful for their efforts in helping me to approach our Mayor, Stephen Acropolis, and having him declare our city a National Dog Week City, and then proclaiming that day Brick Township’s Dog Fest Day. Hearing him use the words inspired by the late great dog trainer Captain Arthur Haggerty was so gratifying. Despite anyone’s political leanings, it is so good to have a municipal leader who understands the good will and “pawsitivity” dogs lend to a community and I thank everyone for stepping up to the plate and making me proud to live here. On that same day, Los Angeles held their Strut your Mutt event, raising over $200,000 dollars for homeless dogs, and the following Sunday, New York City followed suit with great success. 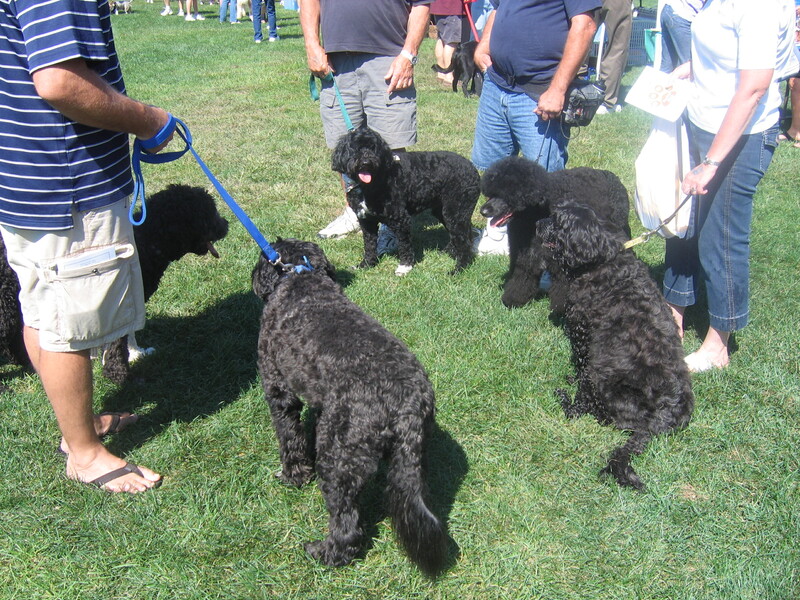 In the Chicago vicinity, John Reh and his Dogs Love Running held a Barkapalooza event and I will write about that soon. Will Judy called Chicago his true home, so that was especially meaningful. Back in 1928, Captain Judy declared that the purpose of National Dog Week was not to bring more dogs into the world but to be more responsible for the ones already here. He probably could not have imagined that one day there would be over 70 million dogs inhabiting this nation. But they do, and they are here to stay, and those individuals who work so hard on their behalf year-round, deserve to be honored and encouraged in their efforts, in the end we all benefit whether we realize it or not. Keep up the good work, and then please be sure to let me know about it. 51 more weeks to National Dog Week 2011…Let’s start planning now. 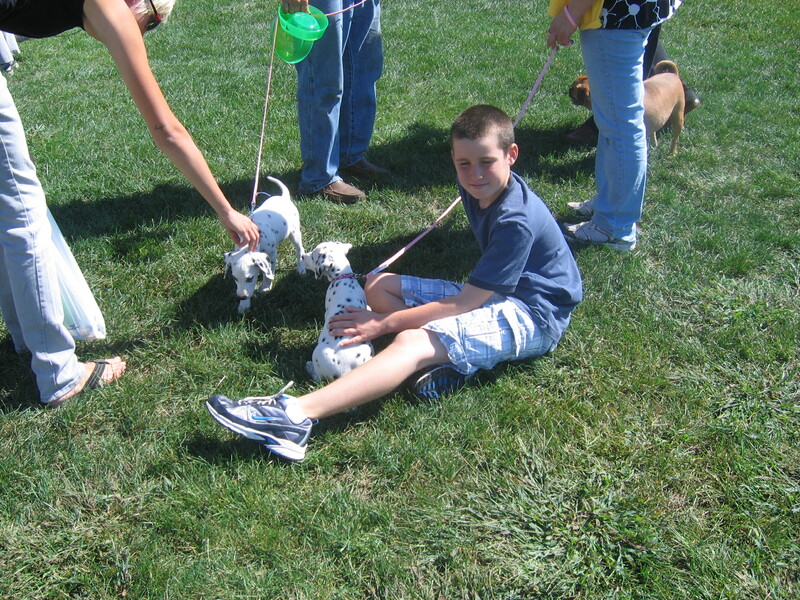 Here are some scenes from Brick Township’s First Annual Dog Fest…scroll down and enjoy. 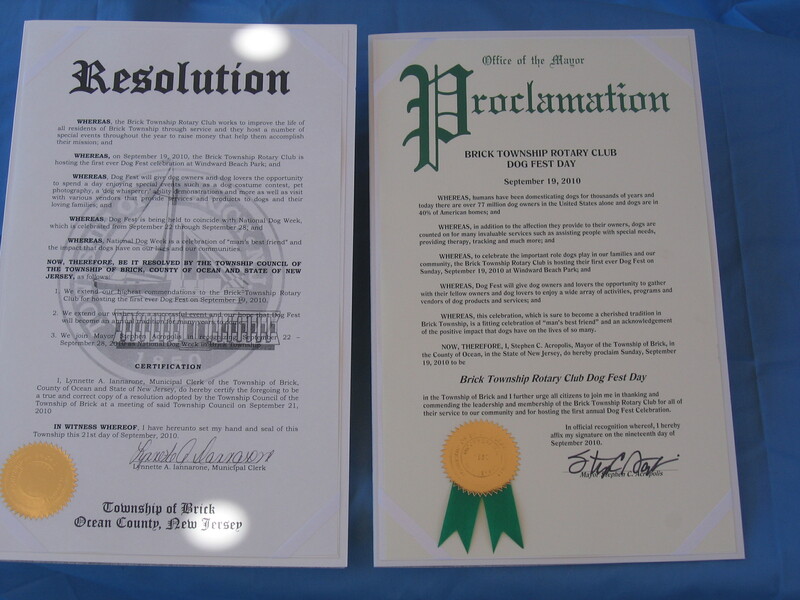 The Resolution and Proclamation, Every Dog will have its Day! 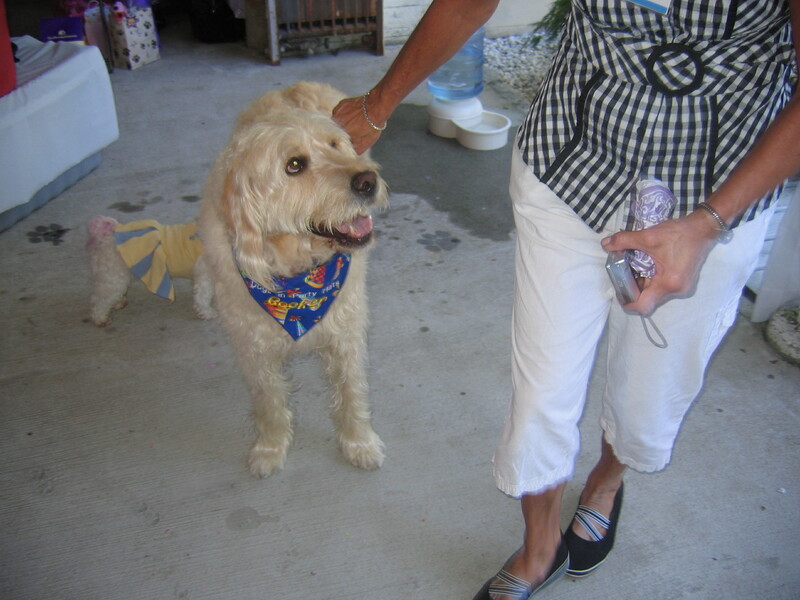 I had the pleasure of meeting Bocker Labradoodle in Paw-son in late August. He was attending a birthday bash for his two friends, King Charles Cavalier spaniels Penny Lane and Lilly Pads at the home of Rose Russo in Westchester County, New York. The day was scorching hot, and Bocker had just finished a photo shoot in New York City. He was cordial and accommodating to his fans but it was clear, Bocker was off-duty, ready to party with a dozen of his canine friends. Later, he sat and stayed long enough to share a little of his life in the fast lane, while his guardian, Marie Shelto helped him find his words. How old are you Bocker? I am seven years old. How did your human “find” you? Before all the “doodle” craze, Dad had seen an article about Labradoodles and the mention that they were hypoallergenic. Mom and Dad really wanted a dog but Dad, who is a professional singer, has asthma. So they looked into Labradoodles and found a wonderful breeder. There were twelve in my litter and Mom and Dad wanted a tan male. Every photo of the three tan males always showed two who were really getting into things and one who sat very pensive, almost to say, “I am here for a purpose”. So from birth, it seemed like I was a very special pup (that’s what Mom says). So, at seven weeks old, I became part of a wonderful family. How did you become an actor? How long have you been working in the entertainment industry? From early on, I always knew when the camera was pointed in my direction and I had a really good “head tilt” that everyone loved. Everyone said, “he should be in commercials, ads, movies”. So mom contacted a few agents in NYC and after some training, I started to get called for jobs! So my first “gig” was for Tommy Hilfiger and I was only eighteen months old. Pretty cool. Can you tell us a little about what commercials you are appearing in, TV shows, or movies?After that I was called for more fashion ads and commercials for Ralph Lauren, Barney’s NY, Target, Chase Bank, Wal-Mart, Optimum Online, GQ Magazine, and Getty Images. I was on Good Morning America, and The View, where Joy Behar gave me a bath, and on a morning show segment “If the political candidates were dogs” where I represented Hillary Clinton. I actually got a hand-written note from Mrs. Clinton thanking me and asking me for a pawtographed photo for her desk! 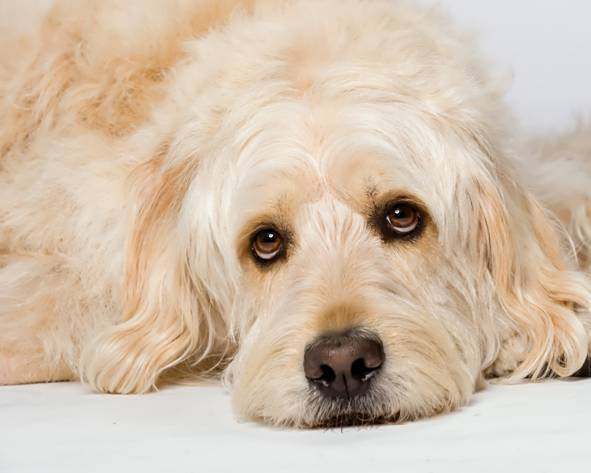 I was featured on Animal Planets, DOGS 101 in their segment on labradoodles. I did extra work in Steven Spielberg’s War of the Worlds and also filmed a family scene for Julia Robert’s Eat Pray Love, which was cut from the movie. But, I did meet Julia Roberts and Brad Pitt, who was one of the co-producers, and I did get paid. Maybe I’ll show up in the director’s cut!!! I played a girl, Carmel Barkshaw, in Lorenzo Borghese’s webisode spoof of The Bachelor, America’s Next Princess. I just finished working on a short film with terrific (and handsome) actor, Rider Strong, written and directed by brother’s Alex and Paul Cannon, to be released to film festivals around the country in the fall. What advice do you give other dogs that want to be in your industry? I always was a very calm pup. You have to be willing to “hurry up and wait” and enjoy what you are doing. When I hear the word “work”, I know where I’m going. The only advice is, “Only do it, if you enjoy it”. I hear you do some great charity and work with kids, can you tell us a little bit about that?At this point, I really feel that my work with kids and helping those less fortunate than I am, are major parts of my life. I am always ready to lend a helping paw! 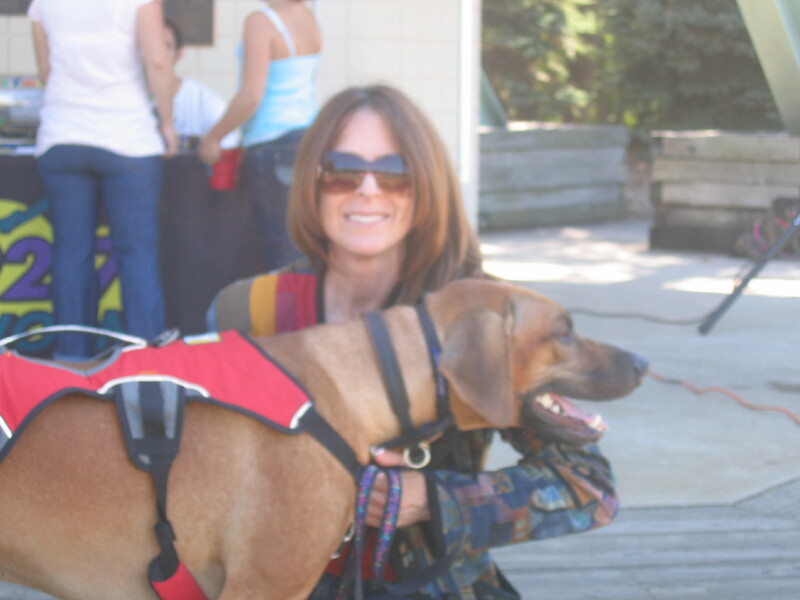 I love working with children, support Autism Awareness, and since I am a certified therapy dog, I work as a Tail Wagging Tutor, helping children improve their reading by reading to me; go to Boys and Girls Clubs, hospitals, nursing homes…anywhere where friends are in need of a smile. Have to say, all the extra hugs and kisses I get aren’t bad either!! I support many shelters around New York and help with fundraising. Why shouldn’t every animal be as lucky as I am and as long as I can help, I will. Can you tell us a little about your work on behalf of Nikki Moustaki’s Pet Postcard Project? The Pet PostCard Project is a fun and creative program that helps provide much-needed food for shelter animals. One bowl (or one pound or more) of pet food for every qualifying postcard received goes to animal shelters! The Pet Postcard Project is made possible by the kindness and generosity of its pet food sponsors, who donate literally tons of kibble to animal shelters and rescues in exchange for the creative postcards. I’ve been involved with the Pet PostCard Project for some time, sending postcards which my mom helps me create. Knowing that I am helping feed my shelter friends is the most important thing to me, but also my post cards have actually won some pretty cool prizes too. I have even taken some of the prizes I have won and donated them back to shelters that I support. Nikki asked me if I would be one of the Spokes Dogs for September and October and head up Team Bocker the Labradoodle in support of Sabbath Memorial DogRescue in Miami. I have enlisted some of my younger fans to help and it become a school project which helps the children be creative, have fun and also learn the importance of helping those in need. How will you spend some of your down time during National Dog Week? I do get time to be a dog, which of course is fun too. Maybe a few extra trips to the Paw Park would be in order, but what I love most is to just be able to sit in my yard and watch all the nature around me. Love sharing my space with deer, rabbits, and birds and enjoying the country air when I don’t have to be in the city. There’s always work to be done and right now I’m working on my book. Am I a lucky doodle or what!?? You certainly are, Bock. 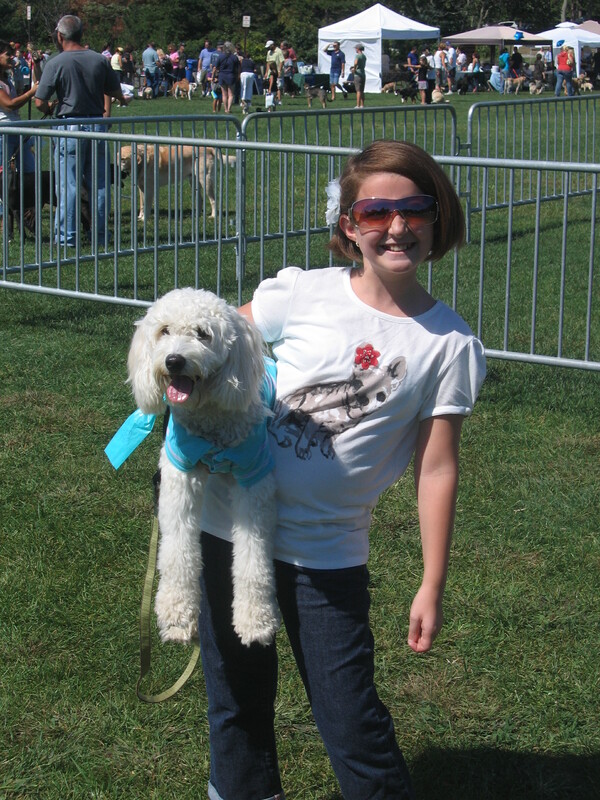 Thank you Bocker Labradoodle and Marie for all the good you do for dogs and their humans! To learn more about Bocker’s career go to www.bocker.tv/ You’ll be glad you did! On the Fourth Day of Dog Week…Gretchen Kruysman shares the tail of FetchDog. FetchDog features items from Gates to Crates as well as quality dog products like beds and travel items. There are blogs and articles relating to all things canine as well as a “Health Library.” Check out FetchDog if you need a special gift for National Dog Week or you and your dog are getting ready for Hound-0-Ween or some other fun party. Why did you launch FetchDog? What makes your site stand out from the pack of dog oriented websites? I think what dog lovers enjoy about our site is our great dog photography that you can see at www.fetchdog.com. Please tell us about the FetchDog staff. FetchDog is a small company based in Portland Maine. There are 15 of us humans who are all dog lovers plus lots of other “pack members” who help us out. 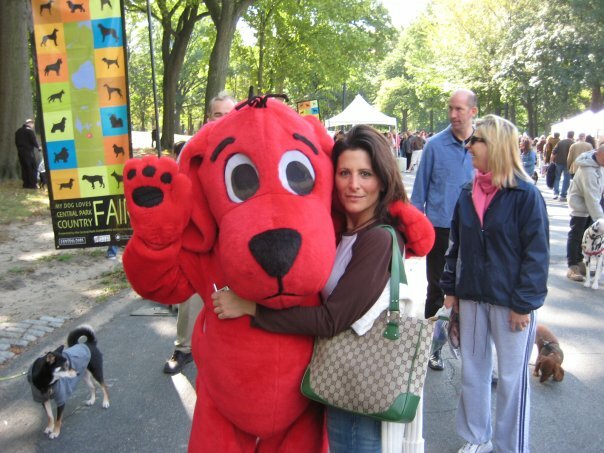 Tell us about FetchDog’s special celebrity connection. 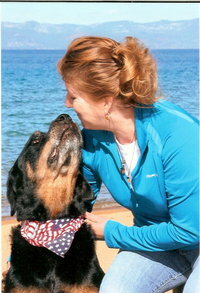 Actress, Glenn Close is one of the co-founders of FetchDog and writes a blog for FetchDog called Lively Licks. 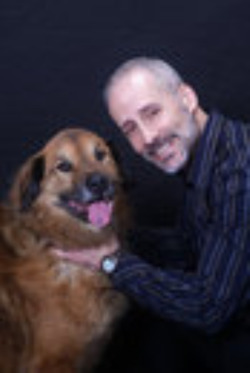 Glenn is a long-time dog lover and currently is devoted to two mixed breed terriers, Jake and Billy. In Lively Licks she has interviewed other celebrities and dog owners, including returning war veterans with PTSD who rely upon specially trained service dogs. Do you have any canines on staff? What will your dogs be doing during National Dog Week? For National Dog Week, we’ll be spoiling our dogs with an excess of love, long dog walks, special treats and our undivided attention…which of course is what we aspire to do every week for our dogs! FetchDog...Unleash the Love (but not the dog)! 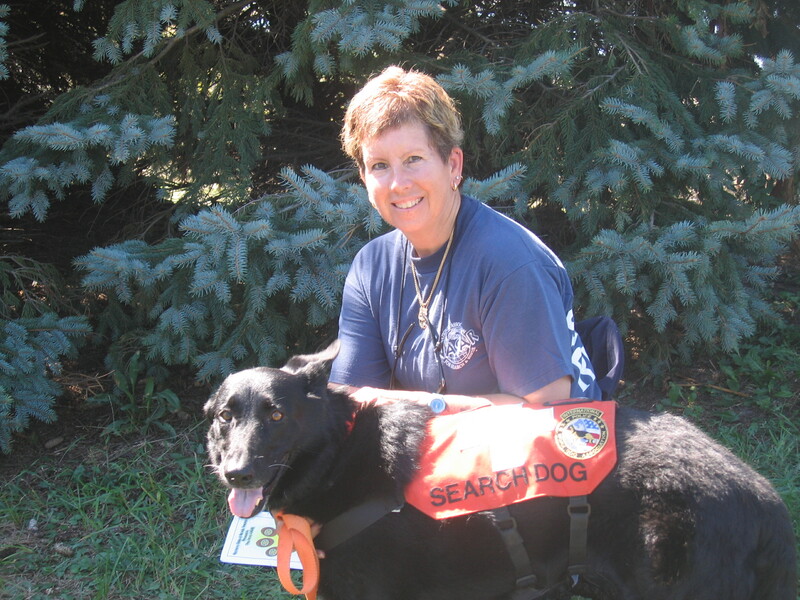 Janice Wolfe of Wyckoff, New Jersey, has a mission to “save two lives at a time.” Known as the New Jersey Dog Whisperer, Janice, through her organization Merlin’s Kids rescues dogs from shelters, rehabilitates them and then trains them to work as service dogs for children who have special needs, like those with autism spectrum disorder. Janice explains that many of these very special dogs were moments away from losing their lives at shelters. 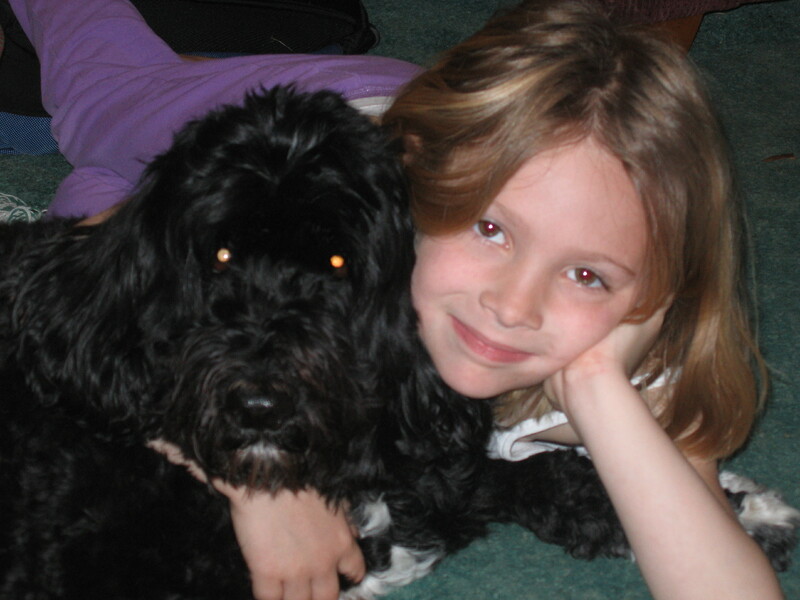 Now with her help, they bring joy and assistance to families who are grateful for that dog’s presence in their lives. 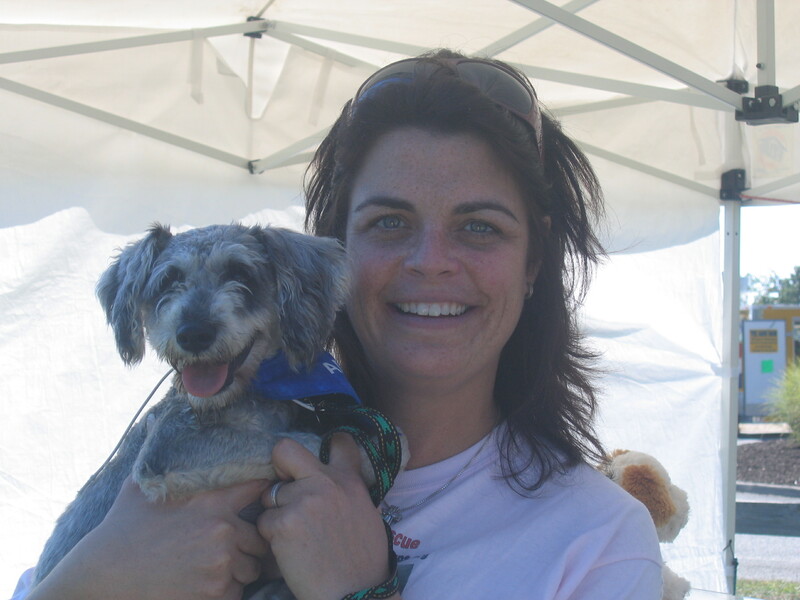 Through her work, Janice gives these dogs and so many deserving families a second chance. According to this Dog Whisperer, Rhodesian Ridgebacks make excellent Assistance Dogs. She would know as she has bred them for twenty-three years. Originally bred to hunt Lions in Africa, and protect women and children, Ridgebacks, Janice explains, are intelligent and perceptive dogs whose sturdy physiques (80-90 pounds) make them perfect for service work. Janice’s own “Rhodie,” Wyatt, is a case in point. Janice says she knew Wyatt was special from the moment he was born, possessing, “amazing energy.” Now two, Wyatt accompanies Janice as she travels to homes to help families in need. Wyatt, also known as Ch. Rambo’s Gunfight at the OK Corral JC, was the recipient of this year’s American Kennel Club’s prestigious ACE Award (Award for Canine Excellence) in the Service Category. This Thursday, Wyatt will be officially recognized by the AKC with an award presentation in New York City. In 1928 Will Judy reached out to the dog owners of the nation, asking them to look at dogs as spiritual beings with great helping capacities. In doing so, he declared that the last full week of September be reserved to honor our dogs, starting the National Dog Week Movement. Today, people like Janice Wolfe embody his message. Janice says that we, as dog lovers, must reach out to those individuals that still do not understand the true potential of the dog. 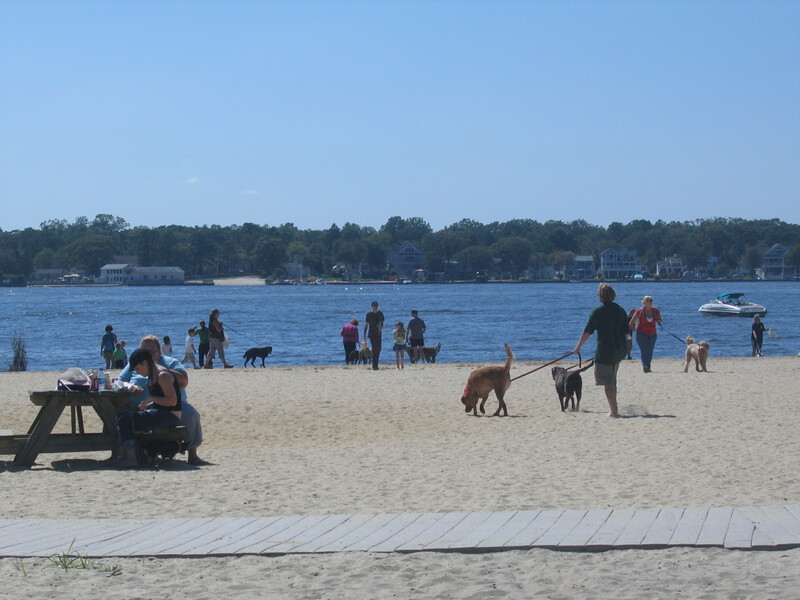 Dogs and their humans can meet Janice at Dog Fest on Sunday, September 19th at Windward Park Beach in Brick Township (Ocean County) from 11am-4pm. There will also be pet-related vendors and demonstrations by the Brick K-9 Unit, as well as local therapy and service dog organizations. As a writer, and lover of dogs, I am excited for all of them and hope that someday the value of their work is fully realized by the American public.